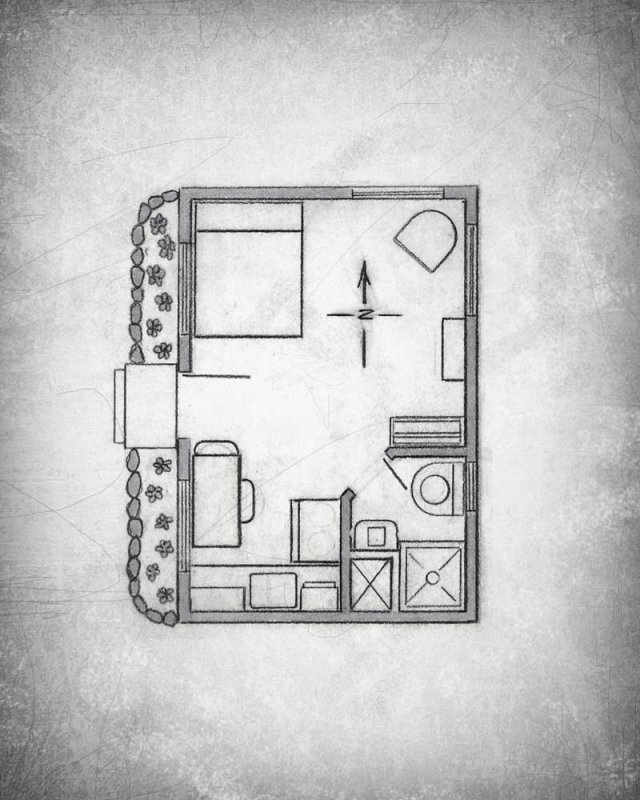 This cozy one room cabin has everything a happy couple or overflow guest would need. It”s perfect for grandma and grandpa! 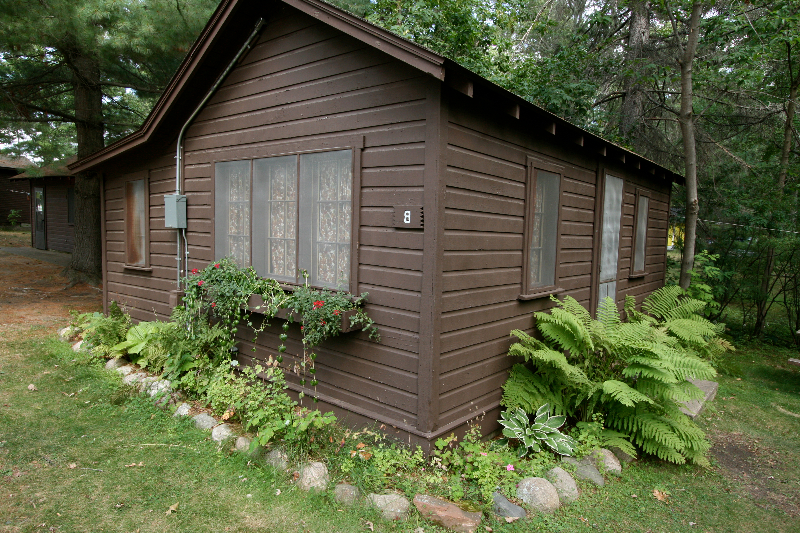 It sits about 120 feet from the lake and is about 220 Sq. Ft. 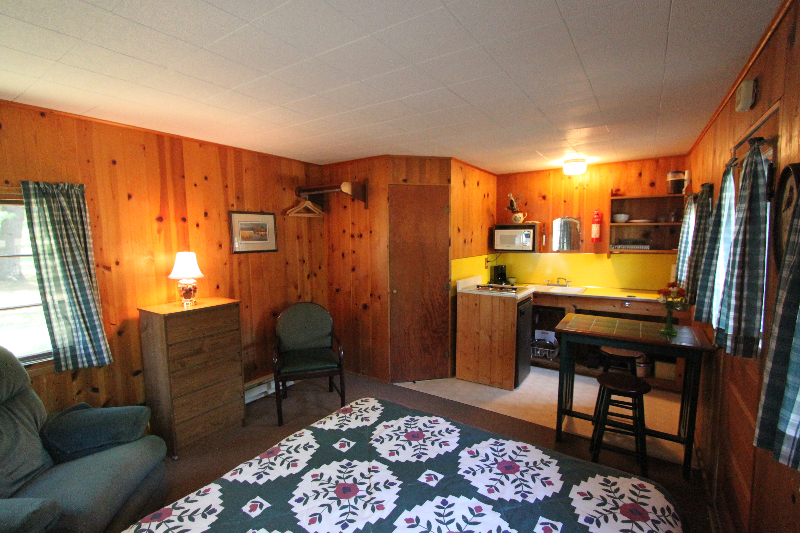 There is a queen bed, 3/4 bath, electric heat and a kitchen area with mini-fridge, stove top and microwave. Picnic table and grill are included. Parking is in the lot. 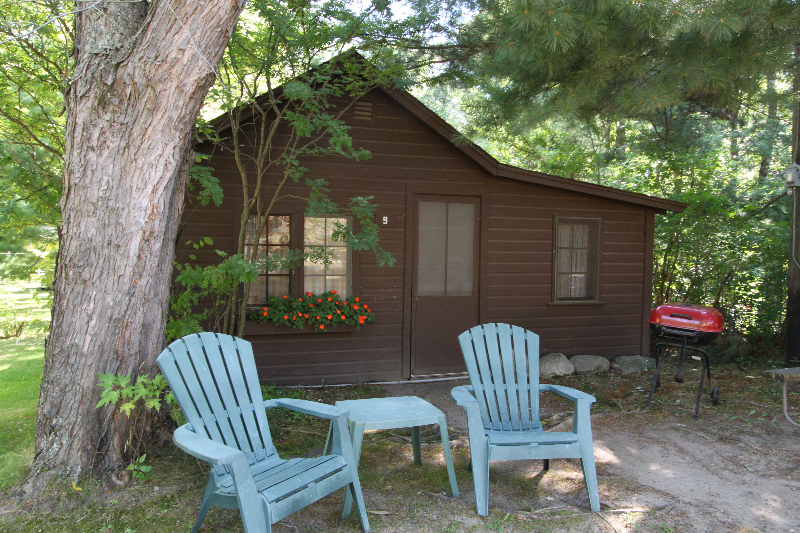 This cute one room cottage sits back off the lake and is approximately 240 Sq. Ft. 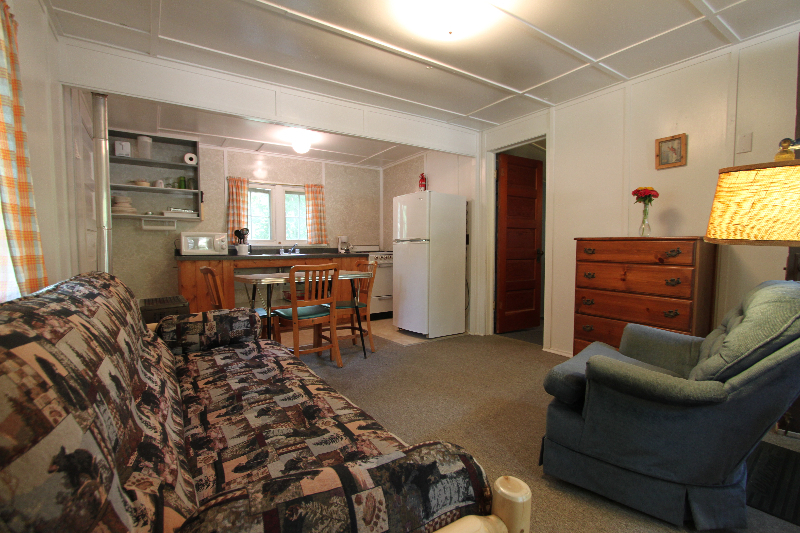 It has a queen bed, 3/4 bath, fully equipped kitchen and electric heat. 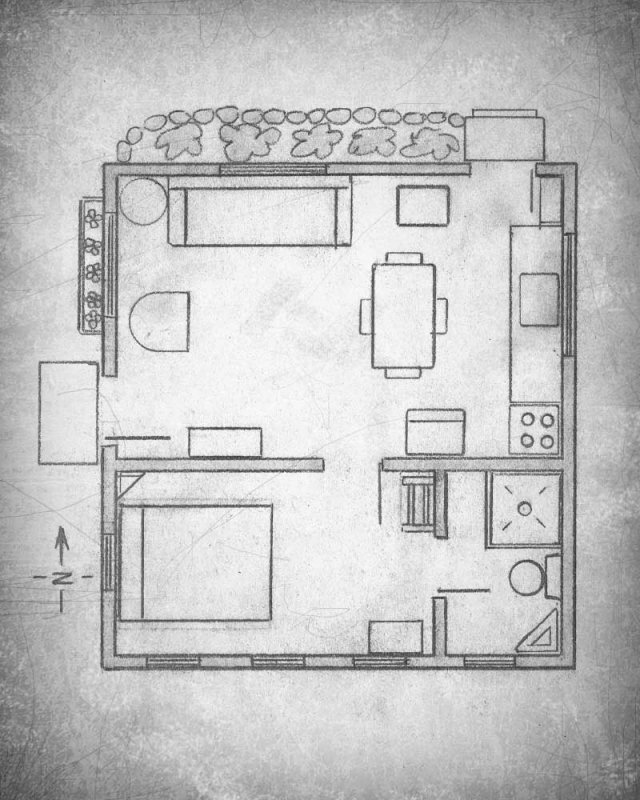 A picnic table and grill are included. Parking is in the lot. 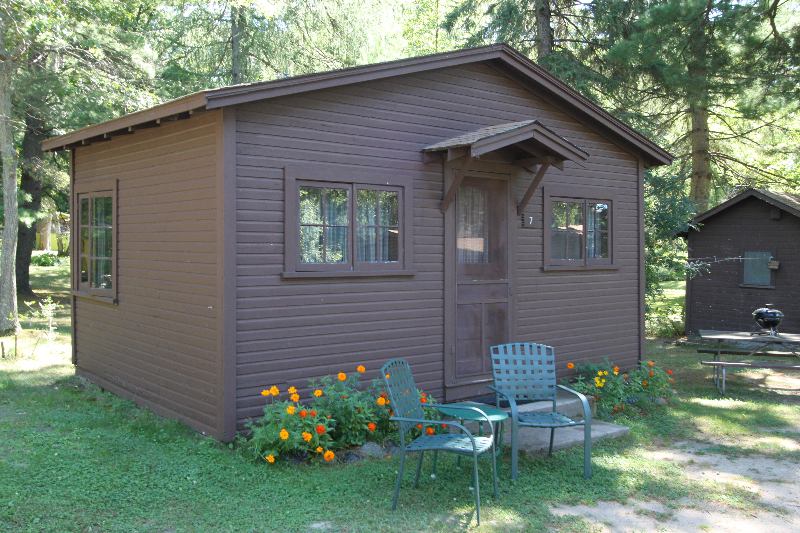 This cozy one bedroom cabin sits at the corner of the cabin area tucked under the pines near the nature trail. 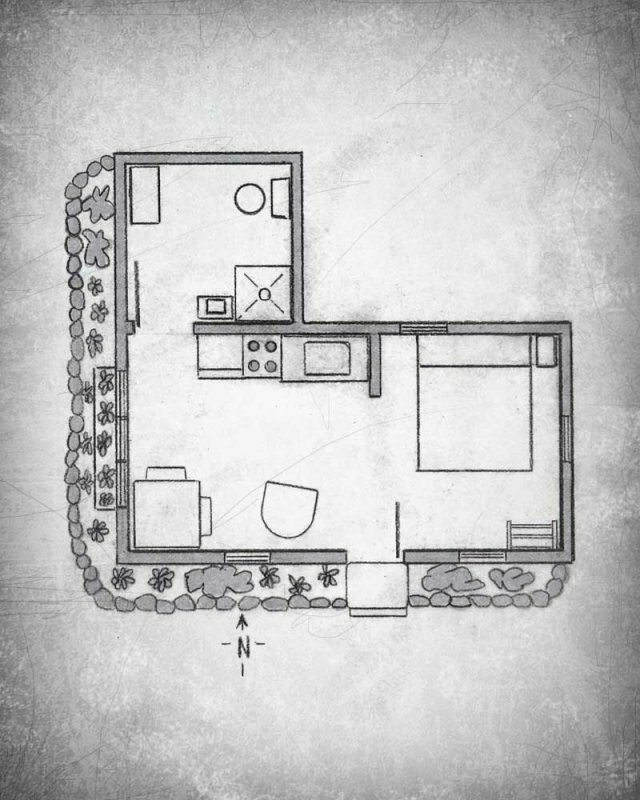 It is approximately 355 Sq. 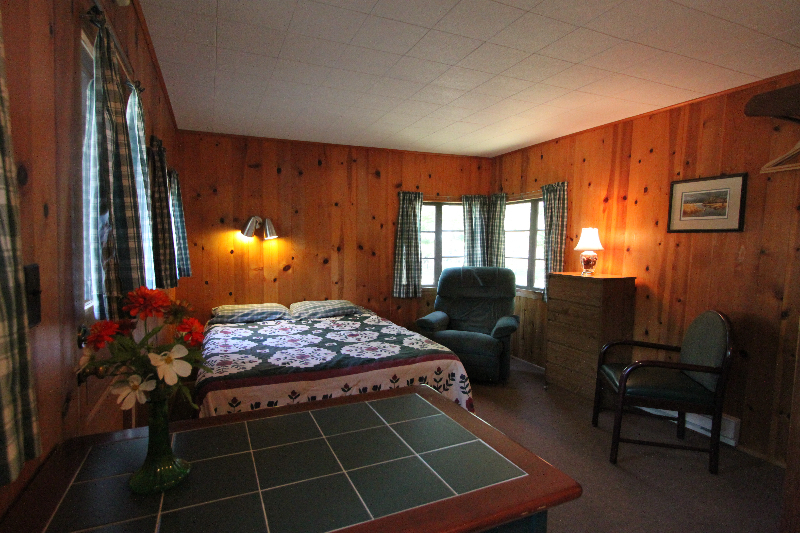 Ft. with a double bed in the bedroom and a double futon in the living area. 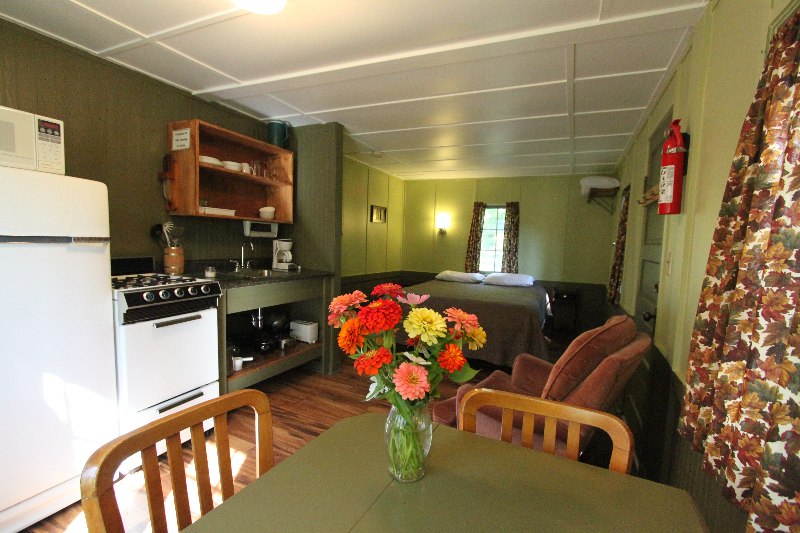 There is a 3/4 bath, full kitchen area and gas heat. A picnic table and grill are included. Parking is in the lot.